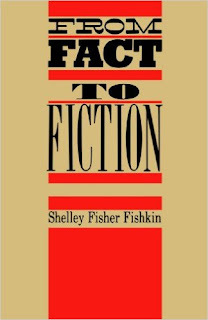 Shelley Fisher Fishkin is the author of the new book Writing America: Literary Landmarks from Walden Pond to Wounded Knee. 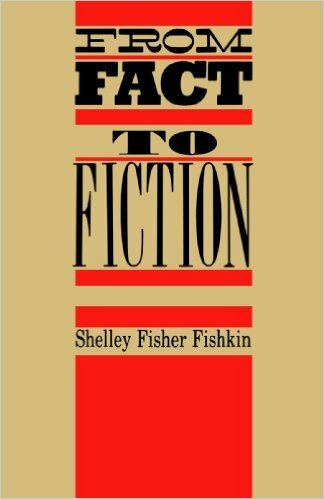 Her many other books include From Fact to Fiction, Was Huck Black?, and Lighting Out for the Territory. 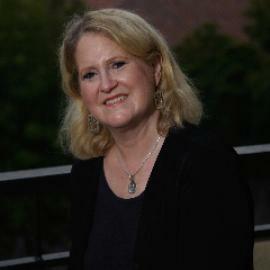 She is the Joseph S. Atha Professor of Humanities, professor of English, and director of American Studies at Stanford University. Q: How did you come up with the idea for Writing America, and how did you select the landmarks to include? A: As I looked back on my own intellectual odyssey, I realized that my own first encounter with several of historic sites changed my mental map in key ways. I wanted others to be able to share that kind of experience. I also felt that since the book would come out on the eve of the 50th anniversary of the Historic Preservation Act (which, among other things, created the National Register of Historic Places), it was a good time to draw people’s attention to the ways in which public history and literary history intersect. 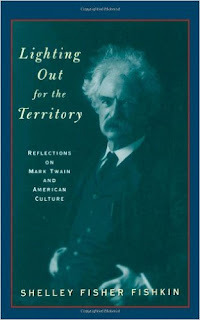 My mother’s decision to take me to Mark Twain’s house in Hartford, Connecticut, when I was a child ignited a lifelong fascination with Twain that led me to write or edit 35 books, deliver lectures on four continents; and bring a play he wrote to the Broadway stage. 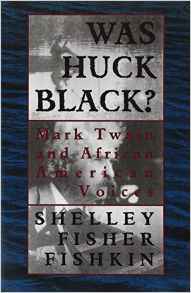 My visit to the Mark Twain Historic District in Hannibal, Missouri, in 1995 prompted me to think long and hard about the ways in which the town’s erasure of its slave past—of the role of African Americans in shaping Twain’s life and work, and of Mark Twain’s biting critiques of American racism after he left Hannibal—echoed America’s efforts to bury rather than engage its troubled history of race relations. I became intrigued, as a result, with the broader issues of public memory and public history that this book explores, and those issues have been central to my teaching (courses at Stanford like “Race and Reunion: Slavery and the Civil War in American Memory,” and “Re-imagining America: Cultural Memory and Identity since the Civil War”). A trip I took to Paul Laurence Dunbar’s home in Dayton, Ohio, in 1999 persuaded me that a reevaluation of Dunbar’s place in American letters was long overdue; it kindled an interest in the writer and his work that led me not only to write several articles about him, but also to propose the international conference that took place at Stanford during the year that marked the hundredth anniversary of his death, and to coedit both a new anthology of his writings and a special issue of African American Review devoted to reappraising his achievement. My visit in 2002 to the Angel Island Immigration Station in the San Francisco Bay sparked an interest in the place of Chinese Americans in America’s past. That interest developed most recently, into my decision to create, with my colleague Gordon Chang, the Chinese Railroad Workers in North America Project at Stanford University, which involves more than a hundred collaborators across North America and Asia in fields including American studies, history, literature, archaeology, anthropology, architecture, digital humanities, and the arts. No site made it into the book if it did not serve as a lens through which a significant chapter of literary history might be viewed. Each site had to provide an opportunity to recall, rethink, or revisit literature that mattered to me. In that respect, my choices are, ultimately, quite personal ones: I chose sites that bore a connection to literature about which I care deeply. Q: Your first chapter focuses on Walt Whitman's birthplace. Why did you decide to begin with Whitman, and what impact did his birthplace have on his work? Whitman had an enormous impact on me personally. It was Whitman’s work that drew me to the field of American Studies, the field in which I earned my Ph.D.
Well, Whitman’s birthplace was where his own journey of discovery began – the place from which Whitman as a child “went forth.” I found it intriguing to look through the very windows he would have looked through. Also Whitman’s embrace by poets all over the world made it possible to broach the theme of the global resonance of American literature from the very first chapter. So much of American literature starts with Whitman – and with Twain! 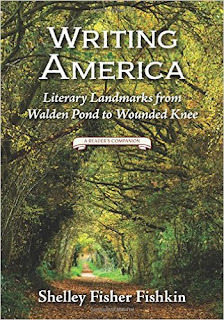 Q: The two landmarks you mention in the title are Walden Pond and Wounded Knee. Why did you select them to highlight, and what do you see as their respective roles in shaping American literature? A: I would be lying if I did not acknowledge the attraction of alliteration! But beyond that, the two places conveyed some contrasts that I thought were helpful to draw attention to the scope of the book: Walden is a site known for being tremendously peaceful; Wounded Knee was horrifically violent. Walden is in New England; Wounded Knee in the Northwest. 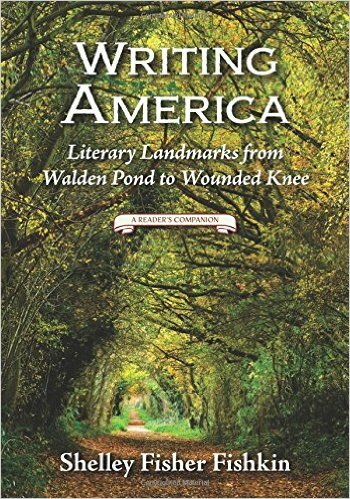 Walden is conventionally associated with American literature; Wounded Knee never is. These contrasts made it clear that the book would embrace sites that were commonly thought of as “literary” sites as well as sites that were not, that there would be geographic reaching in the book, and a range of tones and timbres. Q: The last chapter in the book looks at Hollywood. Why did you opt to conclude here? A: I found it appealing to look at the many ways in which Hollywood and the movie industry for which it stands had a complex relationship with American writers and American literature since its start -- symbiotic at times, uneasy or hostile at other times, sometimes exploiting the work of American writers with their blessing, sometimes savaging their work to their disgust, and sometimes making them so angry that it prompted them to write books that were powerful and memorable responses. A: I am researching the history of the Chinese railroad workers who built the Transcontinental Railroad and the fortune with which my university was founded, and I am also examining their role in building other rail lines across the U.S. (part of my work on the Chinese Railroad Workers in North America Project at Stanford that I co-direct). I also just completed an essay entitled “Literature and the Future of the Past” that will be published in the Chronicle of Higher Education (in The Chronicle Review). 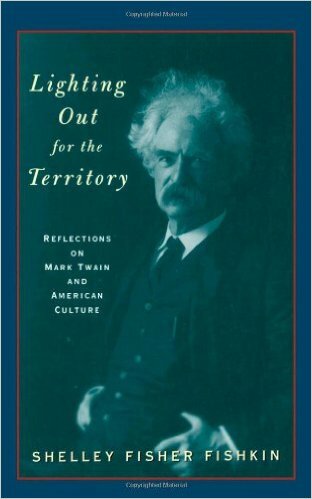 I am about to leave for Germany to present a paper entitled “ ‘Originally of Missouri, Now of the Universe’: Mark Twain and the World” at a Transnational American Studies conference in Mainz. And I am preparing to give a talk about Writing America at the Yale Club of New York City. A: In our current environment of rapid social and technological change, of shortened attention spans, and of the commercial exploitation of every visible surface, both American literature and American places are “endangered” -- at risk of being ignored and forgotten, unread and unseen, pulped or bull-dozed. But paying more attention to literature and the places that shaped it can help us appreciate and value both the literature and the landscape more fully. It’s a pleasure to share the adventure!